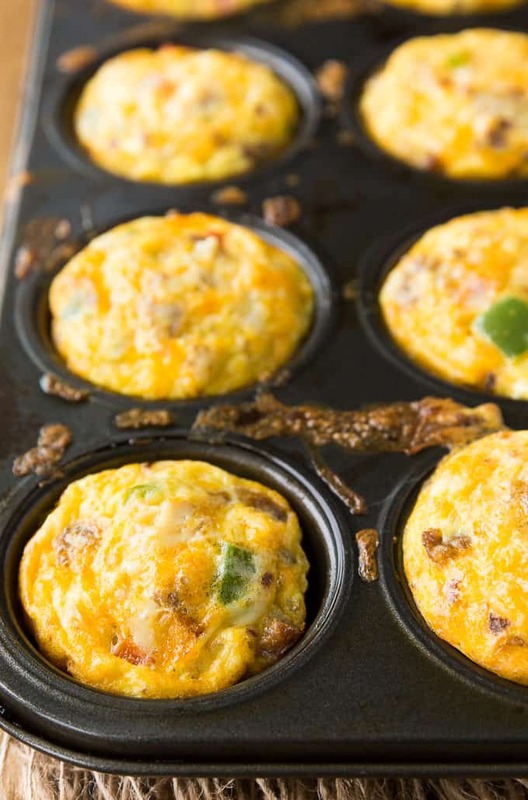 Prepare for a flavour explosion with these Spicy Egg Muffins! 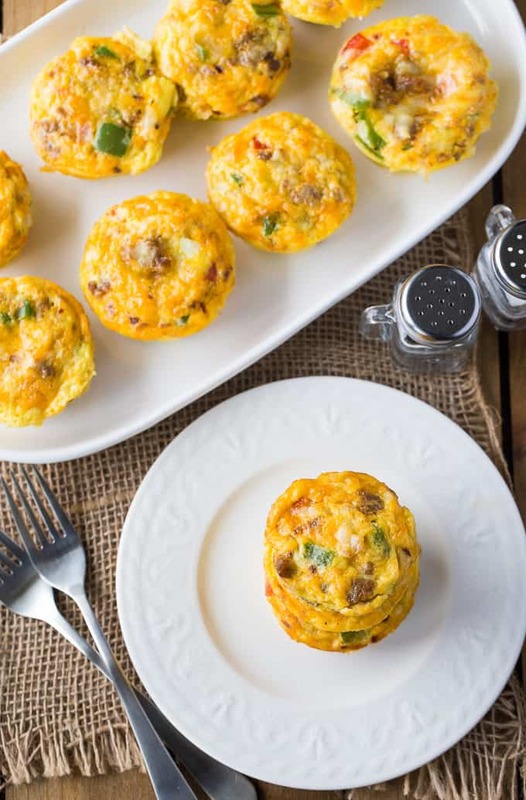 This bite-sized breakfast packs a spicy punch and is super easy to whip up. Everything tastes better when you add cheese! I love using cheese in my recipes to add extra flavour and loads of ooey gooeyness! Armstrong Cheese, a favourite cheese brand of mine, recently came out with three new delicious cheese flavours: Garlic and Herb, Havarti and Monterey Jack with Jalapeno. Yum! If you aren’t yet acquainted with Armstrong Cheese, let me fill you in. They are a Canadian heritage brand with roots in British Columbia dating back all the way to 1902. Their cheese is naturally aged just like the way of the cheese artisans from times long ago. I couldn’t wait to try out one of the new flavours in a recipe. 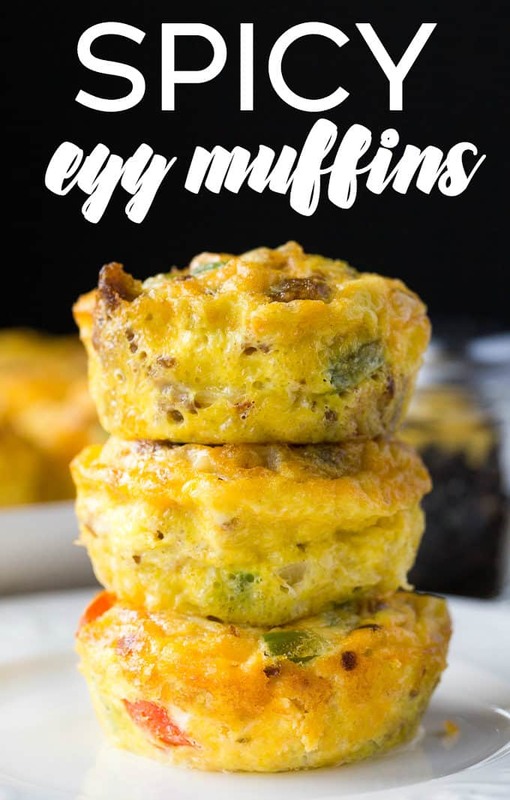 I selected Monterey Jack with Jalapeno because I’m a spicy lovin’ gal and created these mouthwatering Spicy Egg Muffins. Prepare for a flavour explosion, folks. 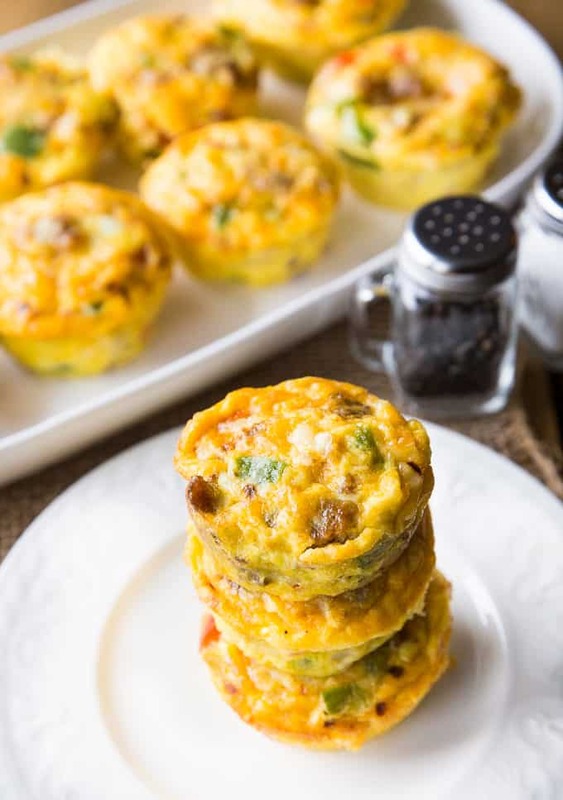 This simple breakfast is also suitable for those of you following low carb lifestyles. 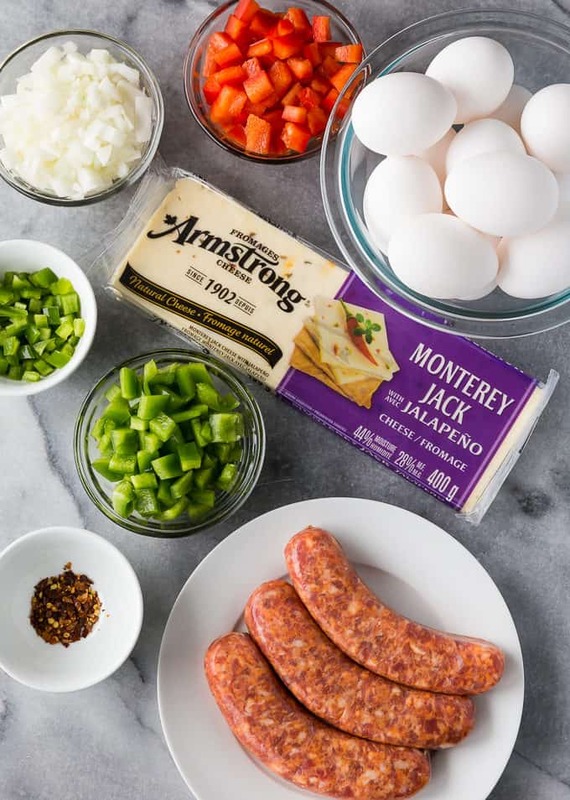 It has easy to find ingredients like Armstrong Monterey Jack Cheese with Jalapeno, hot Italian sausages, peppers, onions, eggs and jalapeno. The first step is to cook the sausages and veggies. 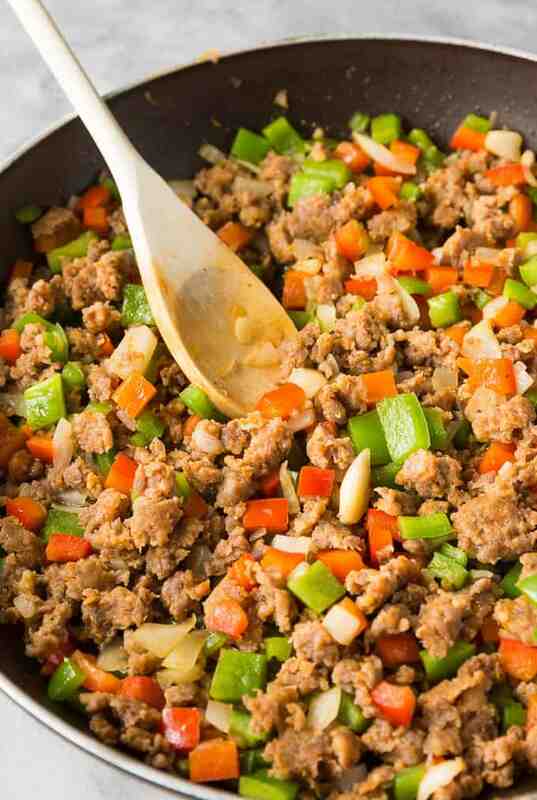 You’ll want the sausage to be browned and the veggies soft and tender. It smells amazing and I could have stopped and eaten it then and there. Don’t worry, I had willpower and only snuck a few bites. I had to make sure the flavouring was right! The star attraction is Armstrong Monterey Jack Cheese with Jalapeno. I couldn’t stop myself and had to grab a few chunks off the block to taste test. I loved the hint of spice in every bite. I knew I had found the perfect cheese for this recipe. 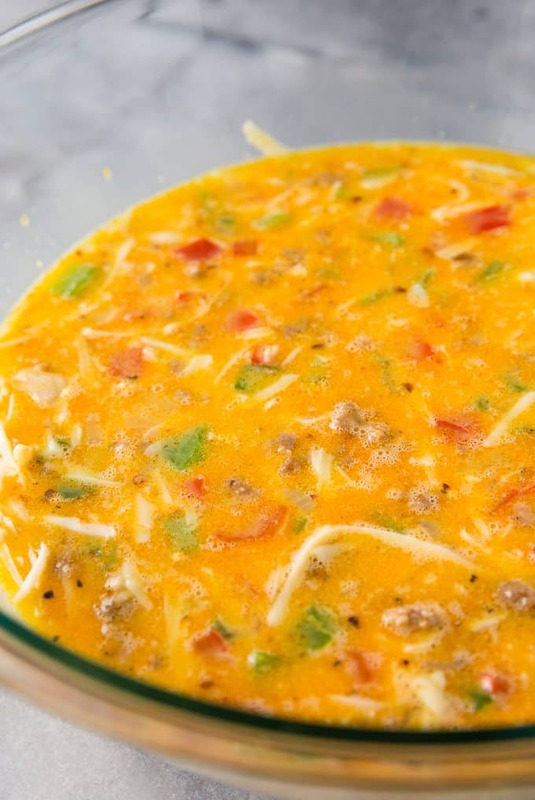 The final preparation step is mixing the cheese, sausage and veggies with the eggs. 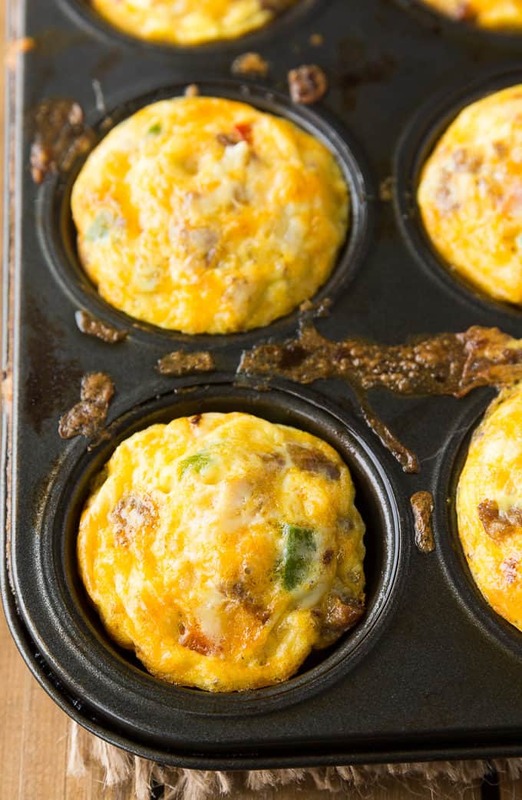 Then ladle the egg mixture into your greased muffin tin and pop in the oven. Just look at these beauties. They are baked to perfection and ready to eat. They are best served hot and fresh from the oven. 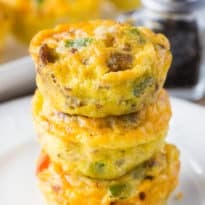 However, they also freeze well so you could make them ahead for busy mornings and then just microwave a few that you want to eat for breakfast. The jalapenos, red pepper chili flakes, hot Italian sausage and Armstrong Monterey Jack Cheese with Jalapeno give a spicy kick to every bite. 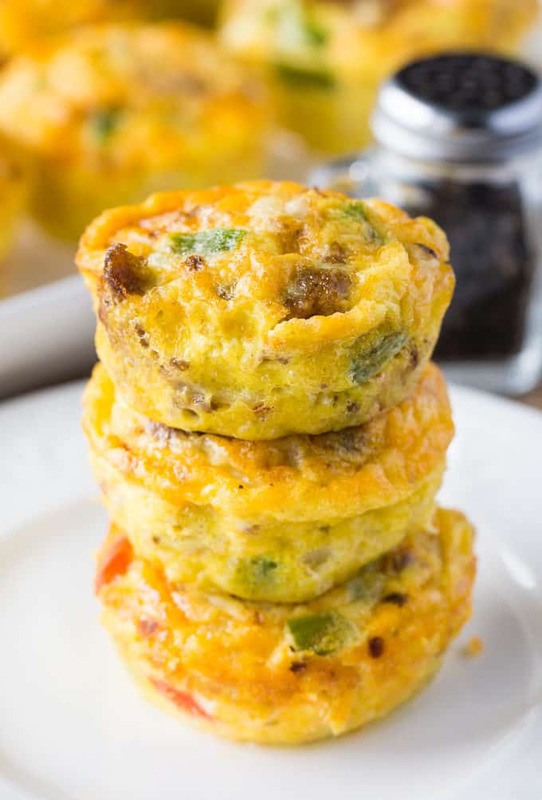 The cheese also helps bind the recipe together so you can enjoy its melted texture mixed in with the eggs. Eggs and cheese are a match made in heaven. My family was actually fighting over them. We loved them. I tried to use the reasoning that I needed to have a few extras because it was my recipe I’d be sharing on my blog. I don’t think that excuse went over too well because I was met with a few dirty looks. 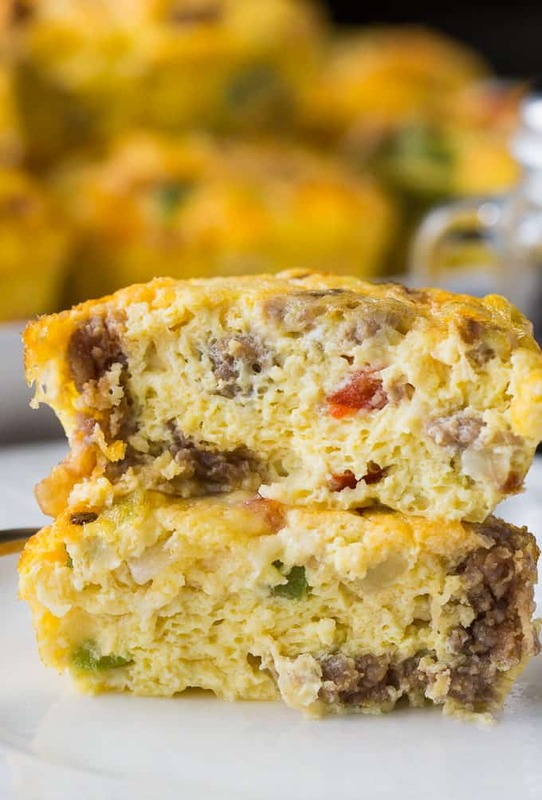 This is a wonderful breakfast for those lazy weekend mornings when you have a little more time. I recommend making a few extra batches to enjoy throughout the week. Toast and cereal can get old quickly! It’s also a great option to serve when you have company visiting. Double or triple the recipe and make a few batches to feed a crowd. We have friends coming this summer and I plan to make this recipe to serve during their visit. If you are looking for an easy breakfast that packs a powerful punch of taste, this is your recipe! Look I’ve made it printable for you below so print it out now so you’ll have it ready to go. Pick up some of Armstrong’s new flavours and experiment in the kitchen. Give my recipe a try and let me know what you think! Looking for another low carb way to enjoy cheese? Try my Parmesan Crisps. 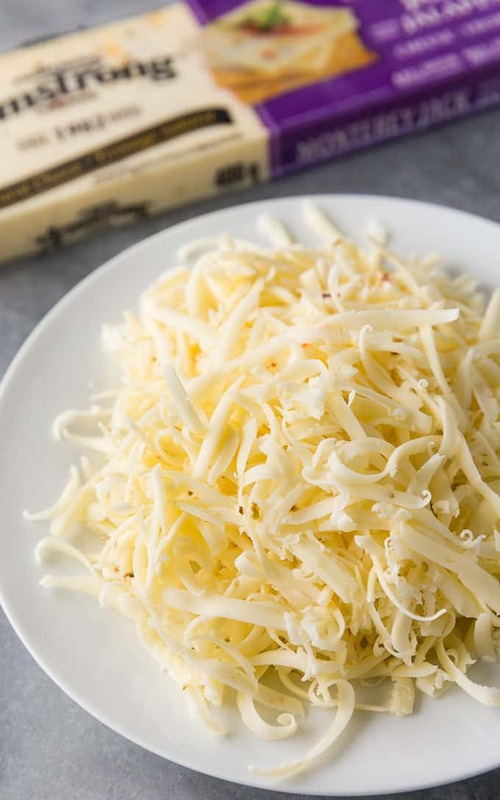 What is your favourite way to use cheese in recipes? Connect with Armstrong Cheese on Facebook. Prepare for a flavour explosion! 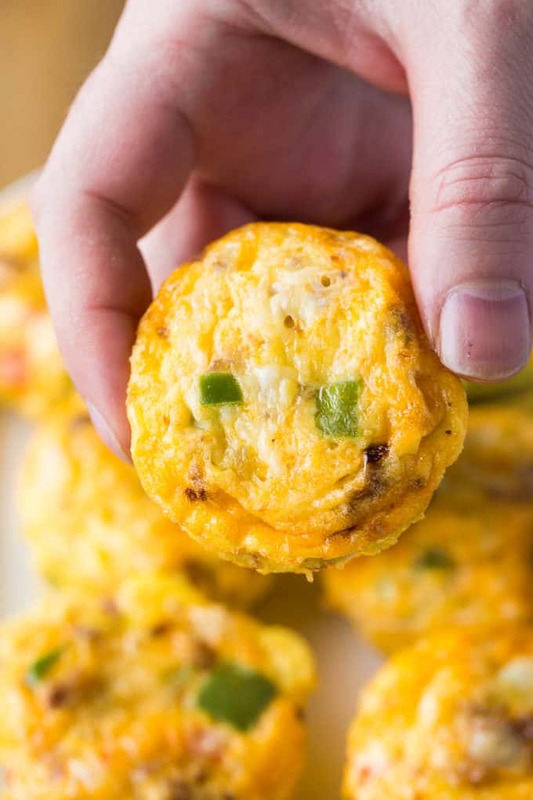 This bite-sized breakfast packs a spicy punch and is super easy to whip up. In a large bowl, whisk eggs. Stir in sausage mixture, Armstrong Monterey Jack with Jalapeno cheese and red pepper chili flakes. Season with salt and pepper.